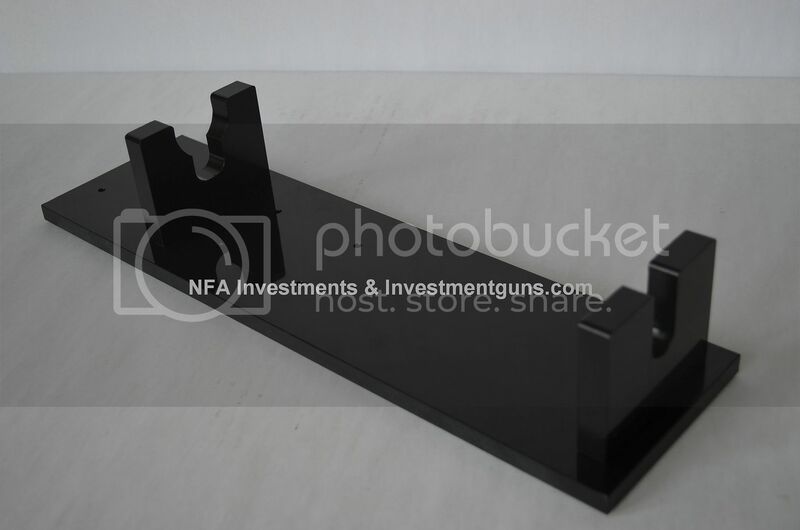 Our HK Cleaning Stand will accommodate Heckler & Koch and most HK Clone receivers for performing cleaning and gunsmithing projects. The base and towers are CNC machined out of extremely durable HDPE with H.D stainless steel pins in the towers for easy configurability. Due to the properties of HDPE, superficial scratches are visible and expected; however does not in any way affect the stand. No treatment is recommend but one could use a Scotch Brite pad to remove the naturally gloss finish of the HK Cleaning Stand base. With either finish, your receiver will be better protected from accidental damage of an unsecured receiver during cleaning. $49.00 + $12.00 priority mail, payments received before 10 AM pacific will ship same business day. We still have some more of these available and they work great!